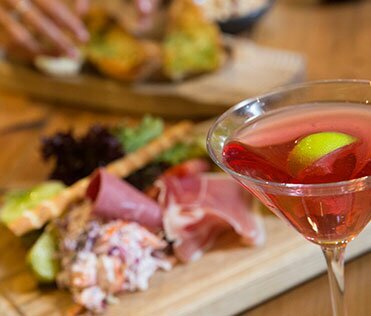 Join the cocktail revolution with your very own group cocktail masterclass in Bath. Our masterclasses are perfect for hen parties, birthday celebrations, team-building events or just a great night out with friends. Choose from our range of specialist cocktail making courses where you’ll be guided by our master bartender in the creation of 3 classic cocktails, all set in your own private dining room. Learn from the best and become a true master of mixology. The perfect late-afternoon hen party activity in Bath. Whilst you’re shaking up a storm, enjoy a tiered stand of freshly baked cupcakes. Learn to be a sophisticated shaker. Cocktail on one hand, canapé in the other! Why not make a night of it and stay for dinner? Choose from our specially created occasions menu. Two Courses with Cocktails from £47.50 per person and three courses from £50.00 per person. Available for groups of 10 or more, 7 days a week. Available at 3:00pm or 6:00pm. Courses last approximately 90 minutes. A deposit of £10.00 per person required to secure the booking.